* What: Jim Witter presents "Feelin' Groovy: A Musical Journey Through the '60s Featuring the Music of Simon and Garfunkel." * When: 7 p.m. Monday, Nov. 5. * Where: Conn Center, Lee University, 1120 N. Ocoee St., Cleveland, Tenn.
* Phone: 423-473-1114 or 423-715-5662. A celebrated artist in his own right, Canadian singer/songwriter Jim Witter has made a name for himself by covering the music of Elton John and Billy Joel. For his latest project, "Feelin' Groovy," however, he's honoring the music of two more artists: Paul Simon and Art Garfunkel. Witter will bring "Feelin' Groovy" to Lee University's Conn Center on Monday, Nov. 5, in a show that is the second entry in the 2012-13 Cleveland-Bradley Concert Association season. 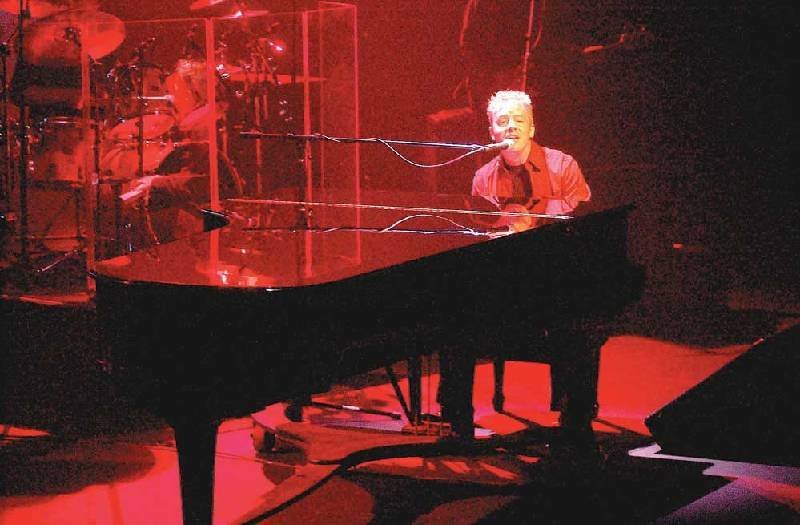 Like his John/Joel show, "Piano Men," "Feelin' Groovy" is composed of covers, specifically Simon and Garfunkel hits leading up to their highly publicized breakup in 1969. Some of the selections slated to be performed include "The Sound of Silence," "Homeward Bound," "Mrs. Robinson" and "Wake Up Little Susie," according to a news release. An Ontario-based singer/songwriter, Witter has been playing in bands since he was 12 years old. He received early success as a country artist in Canada, where his 1993 self-titled debut album yielded a string of singles, all of which broke the Top 10 on the Canadian country charts. The following year, he received a Juno nomination for Best New Solo Artist and Best Country Male Vocalist. Witter later branched out into Christian music with his third album, 2003's "Forgiveness," which received a Dove Award nomination for Album of the Year.